API Turtle Fix is an all natural remedy for bacterial infections, open wounds and damaged tissue. Also treats white cloudy film that builds up on damaged tissue. Use Turtle Fix directly into the water using the convenient dosing cap on the top of the bottle. Repeat in 7 days if necessary. 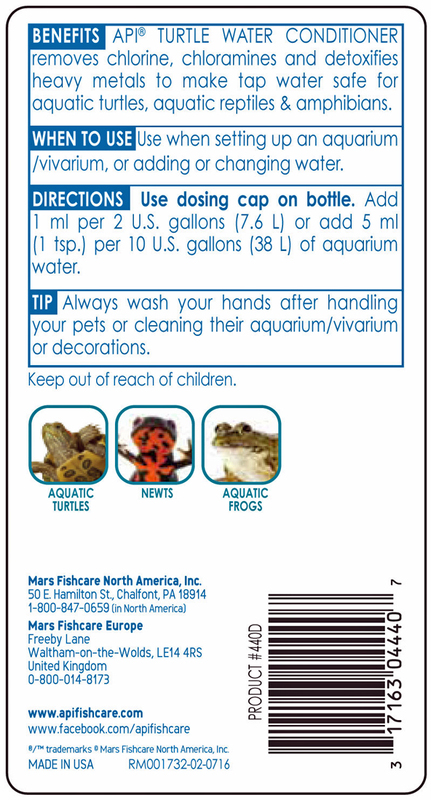 Follow all label directions and wash hands after handling animals or cleaning your aquarium/vivarium.